Hiring managers spend a short amount of time reviewing your resume before they decide if you make the cut to the next stage. This means that using available space most effectively is key. You don’t want to leave out important details that make you stand out, but you also don’t want to overwhelm them with information. 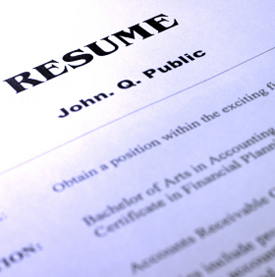 The average job seeker should be able to fit their resume neatly onto two pages. There are some that may be able to use a single page and others who may need three, but generally speaking, two pages will suffice. Summary of qualifications: Three to four sentences that allow you to brand yourself and highlight your strongest assets. Identify yourself as an account manager, human resources generalist, IT specialist, or whatever your particular title is. This lets hiring managers know right away what type of job you are seeking and your type of experience. Present yourself in a way that focuses on what you bring to the table and how you can benefit the company. Core competencies: Select a variety of keywords that align with your experience as well as the job opening. What skills are employers looking for that you possess? What hard and soft skills do you have to offer? This section should be easy to read and draw attention to your accomplishments. Rather than a solid block of text, use bullet points to break things up. Keep your statements clear and concise so that they don’t get watered down with unnecessary details. To make the most of available space, try to avoid having lines that only have one or two words on them. Rework the sentence to avoid this overhang and give yourself more room for other essential information. References can take up a lot of valuable space and are not necessary to include. If the employer wants references, they will ask for them and it is expected that you will furnish a list. Make a separate document with these details so that they are close at hand but do not make them part of your resume. Stick with more traditional fonts such as Times New Roman, Calibri, or Cambria. Fancier fonts may look nice but can be difficult to read and take up more space. Your font size should be between 10 and 12 point. While it can be tempting to make it smaller to fit more information, this can detract from the readability and make your resume look text heavy. Sticking to these standards will also force you to be more strategic about the information you include. Set your resume up to be more effective with help from the team at Chic Resumes. Highlight your qualifications and make sure everything is in the right place to attract positive attention.